Urban Surveying, Inc. (USI) will evaluate your property evidence in order to locate the physical boundaries. Using information gathered by crews on the ground and evidence recorded in county courthouses, USI will determine where the legal boundary of the property is located. Order a Real Estate Survey by filling out this form and emailing it back to orders@urbansurveying.com. Determines the acreage contained in a tract. Locates the boundary lines of the tract, the actual distances of those lines along with existence and location of easements, utility lines and right-of-way. 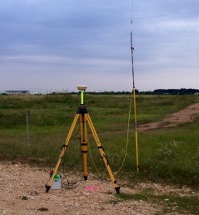 Simple Survey that delineates land boundaries and building locations. In many places, lending institutions as a precondition for a mortgage loan require a mortgage survey. Boundary of a property, mainly used on acreages. It establishes boundaries of parcel using its legal description, which typically involves the setting or restoration of monuments or markers at the corners or along the lines of parcel, often in the form of iron rods, pipes or concrete monuments in the ground, or nails set in concrete or asphalt. 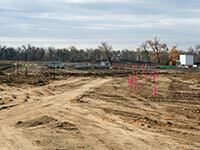 Usually on acreage, shows any improvements made to the property: structures, fences, water well or septic tanks, etc. 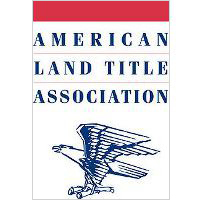 A surveying standard jointly proposed by the American Land Title Association and the American Congress on Surveying and Manning that incorporates elements of the boundary survey, mortgage survey, and topographic survey. Any piece of property being divided into two or more pieces.